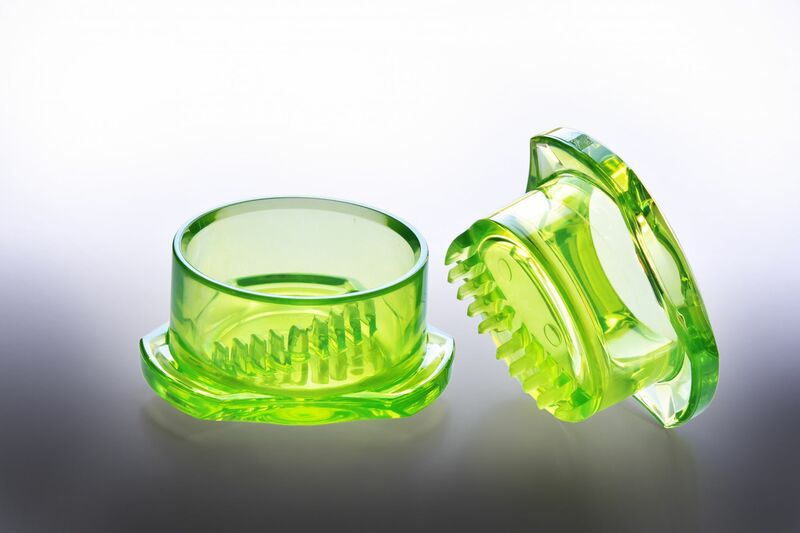 The Garlic Twist is a new, innovative kitchen garlic tool that is designed to replace the common but problem-prone garlic press. At the heart of each Garlic Twist is a matching set of cross-cutting mincing teeth that allows garlic cloves to be minced to perfection. The Garlic Twist is a Patented product. Q : Do you have to first peel the garlic? A : The Garlic Twist is a full-function manual kitchen tool for preparing garlic for cooking. It provides a simple means to first crush-peel garlic, and then to mince and gather it. Please refer to the instructions for its use. Q : How many cloves can I put in the Garlic Twist? A : Usually 2-3 cloves depending on size. But feel free to stuff it full. Q : Is the Garlic Twist dishwasher safe? 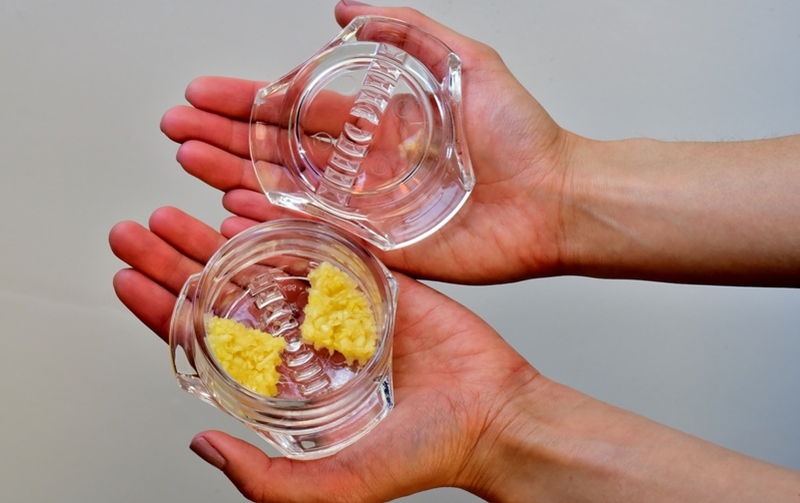 A : The Garlic Twist is made of tough polycarbonate and is top-rack dishwasher safe. It can easily be cleaned with a quick rinse under running water. Let air-dry. 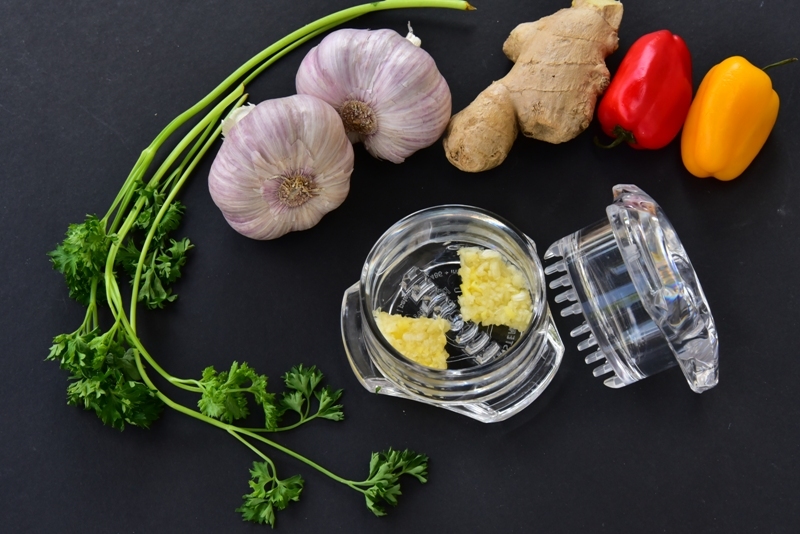 Q : Can the Garlic Twist be used for mincing ginger or any other food? 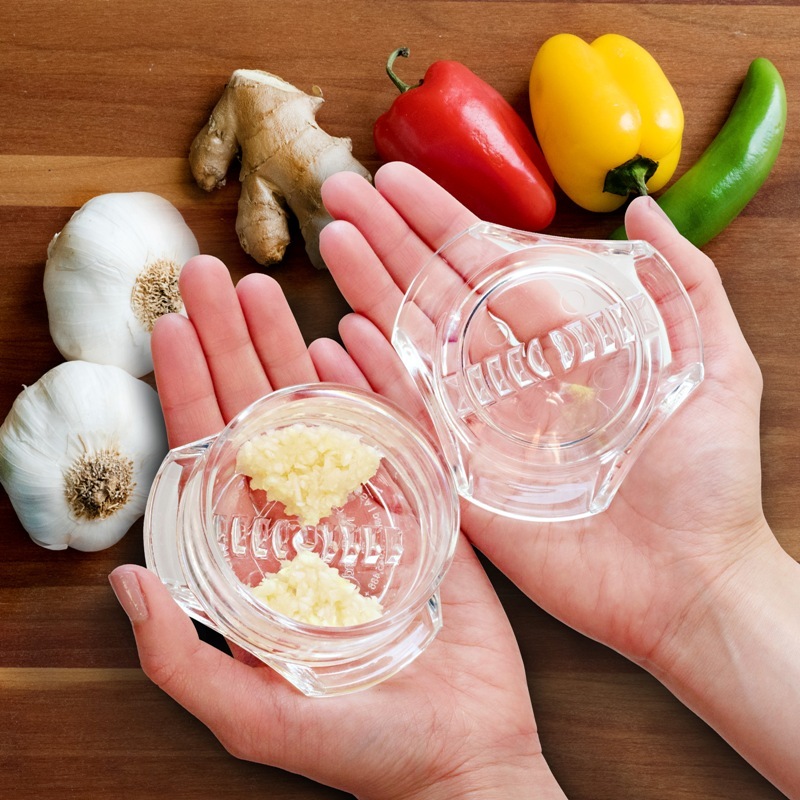 Garlic Twist to be ideal for mincing Jalapano pepper for use in making Salsa. It can be used to mince onion except it is limited by the quantity it can mince each time.